As a vapor, you must adore other’s Vape pen tricks. So we want more guys to know more about Vape tricks, and can enjoy your Vape pen. Wellon e-cig expert wants to introduce how to ghost inhale step by step in this post. It’s a beginner’s trick, named it as ghost inhale. There are several names of Ghost Inhale in Vape group. Wellon Vape pen experts told us, the Ghost inhale is also refers as the snap inhale or mushroom cloud. First of all, you should know the detail working theory of Vape Ghost Inhale Trick. Even it is a vape beginner’s trick, you have to know what the Vape Ghost Inhale is. The key point is that entails the release of a ball of vapor, followed by an act of ‘snapping’ it back in. One can do a Ghost Inhale by taking a long drag and allowing it to linger in the oral cavity for a few seconds, and after that quickly exhale the vapor in a ball shape. 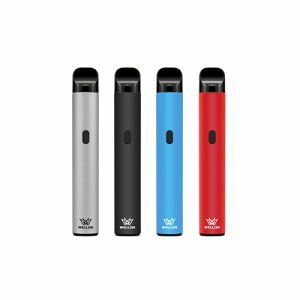 Follow Wellon official website (WWW.WELLONTECH.COM) update to get more detail Vape Beginner’s Trick: Ghost Inhale. Next PostHow to Split Different Types of Vape Pens?